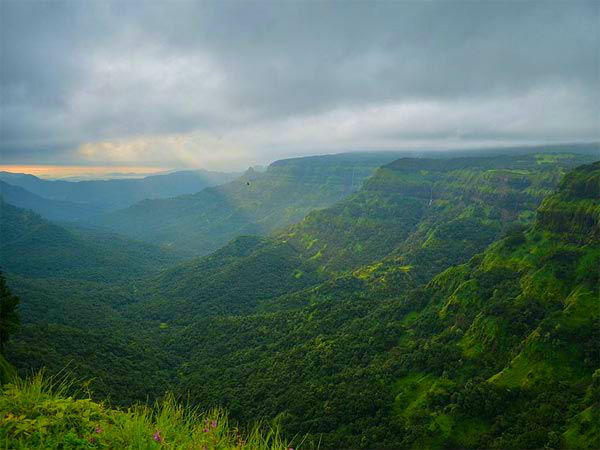 »Travel To The Picturesque Amboli Hill Station From Mumbai! Travel To The Picturesque Amboli Hill Station From Mumbai! Amboli is a small hill station perched at a height of about 2300 ft that falls at the border of Maharashtra, after which the plains of Goa begin. This picturesque hill station is located just 8 hours from Mumbai, making it a great holiday destination. It is filled with the serene beauties of nature such as waterfalls, ghats and lush greenery. Amboli was declared as a hill station in the 1880s by the British when the region was used as a staging post in order to supply garrisons to many parts of India. Amboli must be visited during the monsoon months of June to September, when the waterfalls of the region are rainfed and brimming with water. The lush greenery will look its best during monsoons. It can be visited during winter as well, if you're not a fan of the possibility of getting drenched in the rain. The picturesque hill station of Lonavala is Mumbaikars' all-time favourite getaway. It is a place with bundles of nature's gifts. With caves, peaks, lakes and viewpoints, Lonavala is a one-stop getaway, especially for nature lovers. Some of the most popular tourist hotspots in Lonavala are Tiger's Leap, Duke's Nose, Lonavala Lake and Karla and Bhaja caves. Lonavala is located just about 80 km from Mumbai. Pune is a perfect blend of picturesque landscapes, forts and upcoming colleges. It is, therefore, fondly known by many nicknames like 'Oxford of the East' or 'Cultural Capital of India'. It is located 66 km from Lonavala and 150 km from Mumbai. The city, which is now known as the hub of youngsters and a cultural capital, is packed with plenty of intriguing tourist destinations. Pataleshwar Cave Temple, Aga Khan Palace, Dagadusheth Halwai Ganapati Temple, Shaniwar Wada are some of the most popular places of interest in Pune. The beautiful city of Satara was ruled by many powerful rulers like the Chalukyas, Mauryan dynasty, Marathas, etc. Therefore the place is dotted with many beautiful forts and temples. Some of the places that you would simply not want to miss in Satara are Ajinkyatara Fort, Sajjangad Fort and Vasota Fort. Ajinkyatara Fort was built by Raja Bhoj and is now a landmark of Satara. Perched at an altitude of 3,000 ft, the fort provided a great vantage point to safeguard the city. About 25 km from city centre of Satara lies Kaas Plateau, a UNESCO World Heritage Site that is known for its enchanting landscapes. Its beauty is compared to the Valley of Flowers in Uttarakhand. Settled on the banks of river Panchganga, Kolhapur derives its name from an ancient mythological tale about a demon named "Kolhasur" being destroyed by Goddess Mahalakshmi. A temple dedicated to Goddess Mahalakshmi is a popular destination in Kolhapur. Built using black polished stone, Old Palace reflects the heritage of Kolhapur. It dates back to 1788, and used to be the residence of the preceding Maharaj ruling Kolhapur. The ground floor of this palace has now been converted to a museum where the royal family's artifacts and pictures can be seen. Nestled in the depth of the Western Ghats, Amboli Ghat offers a refreshing waterfall that is surrounded by lush greenery. From certain points, the waterfall looks like a collection of many smaller falls and is particularly beautiful during monsoons, since the rainfed waterfall will be gushing down in top speed. The waterfall is visited by many Mumbaikars for a vacation, and is one of the most popular spots to visit in Amboli. Apart from this, Amboli is dotted with many small waterfalls such as the Nangarta Falls, which can be visited as well. The Shirgaonkar Point is located just a few kilometres from the town centre of Amboli. It is a viewpoint which offers an enthralling panoramic view of the entire region. The scenic beauty of Amboli can be clearly viewed even on the way to the point, since the route is flanked with dense thickets of a lush forest. Visiting the viewpoint during monsoon can be particularly refreshing since the rainfed greenery will look its best. Believed to be 4 times the size of Shaniwar Wada in Pune, the Madhavgad Fort is a magnificent monument which gives a breathtaking view of the Konkan and Arabian Sea. Madhavgad Point gives a breathtaking view of lush greenery that surrounds the fort. A tombstone in the fort proves to be a memorial for the ones who fought and died in the battle against the British. The fort is now in ruins but it continues to stand as a testimony to the rulers of the past. Dedicated to Goddess Parvati, Hiranya Keshi Temple is situated in a serene environment, by the banks of Hiranya Keshi river. It also houses a shrine of Lord Shiva, husband of Goddess Parvati. This beautiful temple attracts devotees throughout the year. A visit to the temple will give you a spiritual rejuvenation, a cleanse to your mind and soul.